A group of scientists admitted in early 2016 that the 15-year “pause” in global warming threw a wrench into climate model predictions, forcing some to go back to the drawing board to see what went wrong. 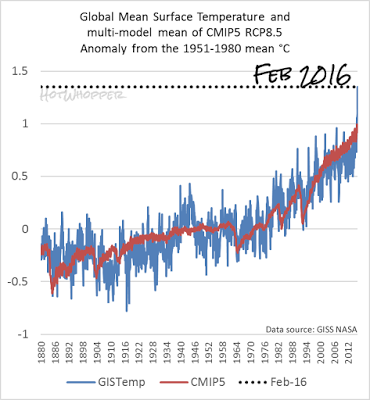 In late 2015, Michaels and Knappenberger published research comparing observed rates of global surface temperature warming since 1950 to predictions made by 108 climate models. 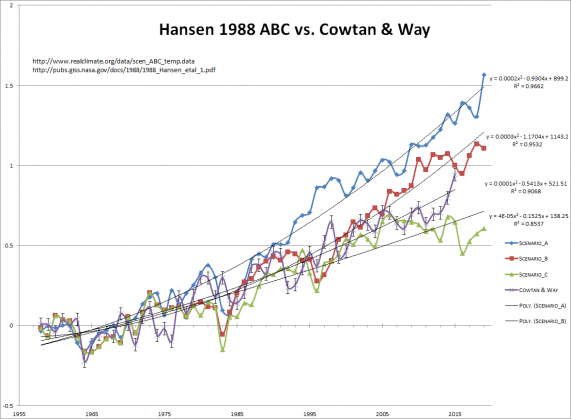 They found the models predicted much higher warming rates than actually occurred from rising carbon dioxide emissions. And that’s only surface temperature readings. 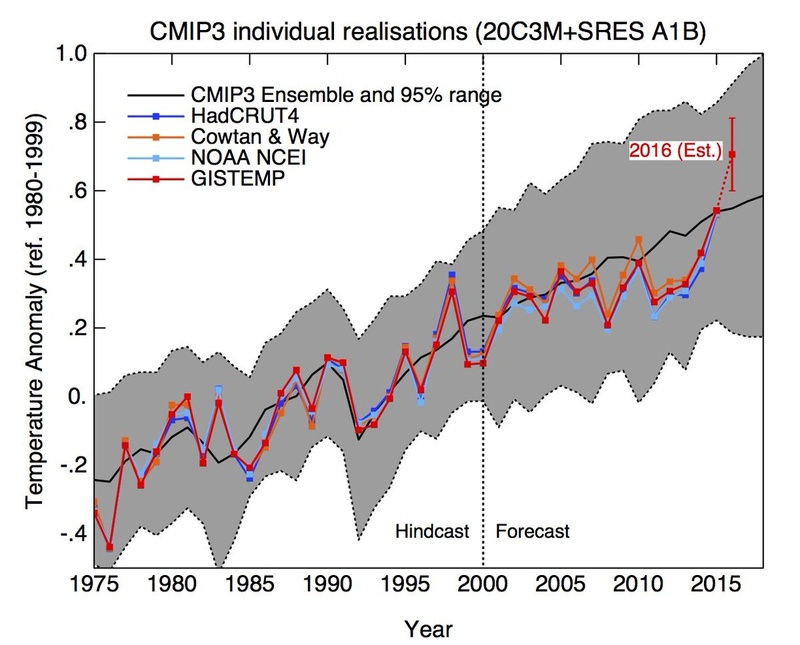 A similar mismatch exists between satellite-derived temperature readings and model predictions. 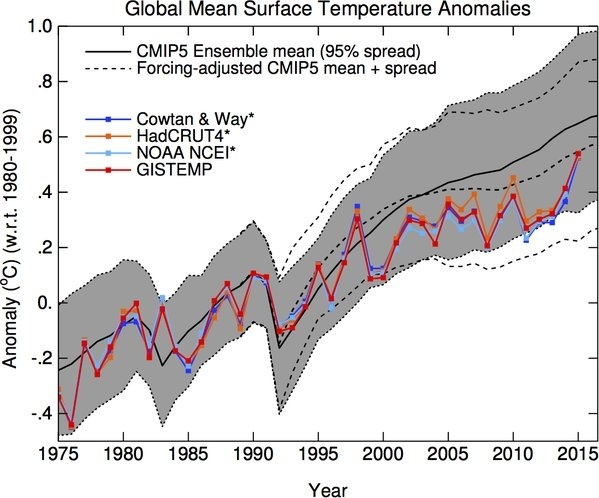 Climate scientists John Christy and Roy Spencer manage a prominent satellite-derived temperature data set out of the University of Alabama, Huntsville. Their data showed no warming for about two decades — a streak only broken by the recent El Nino warming event. Dano you still dripping on about a subject you can’t explain. Drain the swamp please! A non peer-reviewed paper on a fossil fuel front group site. Seems legit. Nonetheless, I have pre-bunked this “two times faster” many times on this site. We all know it is hogwash.